Venezuelan President Hugo Chavez has taken the unusual step of utilising Twitter to govern his homeland whilst he receives cancer treatment in Cuba, the AFP reports. 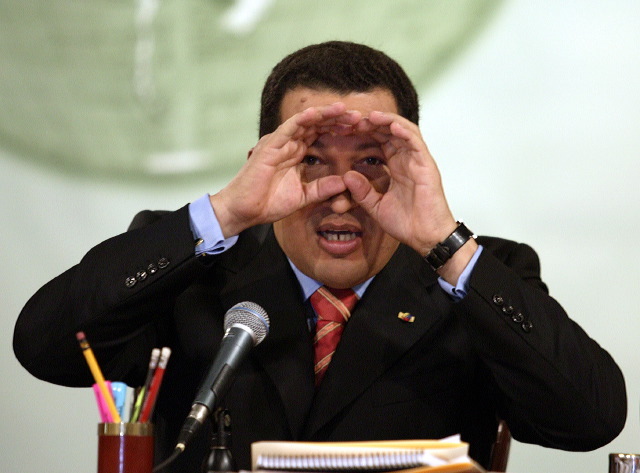 Already, Chavez has tweeted over 40 messages to his @chavezcandanga account, moving to approve funds for a Caracas trash collection project, supported plans for a new park and backed the national football team whilst they played in the Copa America tournament. The Twitter account already counts 1.8 million followers, keeping Chavez in contact with citizens despite the fact he was unable to physically be in the country. It is believed the Venezuelan leader took to Twitter to remain in the headlines because he wasn’t able to make his frequent television appearances. In messages earlier in the week, Chavez greeted Cabinet ministers and touted a public housing construction program. He said he had approved the equivalent of more than $25 million for a new trash-collection company in Caracas, $51 million for a state government and $37 million for the organization Frente Francisco de Miranda, which promotes efforts to transform Venezuela into a socialist state. Chavez underwent surgery on June 20 to remove a cancerous tumour and is now undergoing chemotherapy, although it is not known what type of cancer it is or where it is located.